Go to your Notifications Settings page, and you’ll be able to choose what you’d like to receive emails or iOS push notifications about (Android will be coming soon). 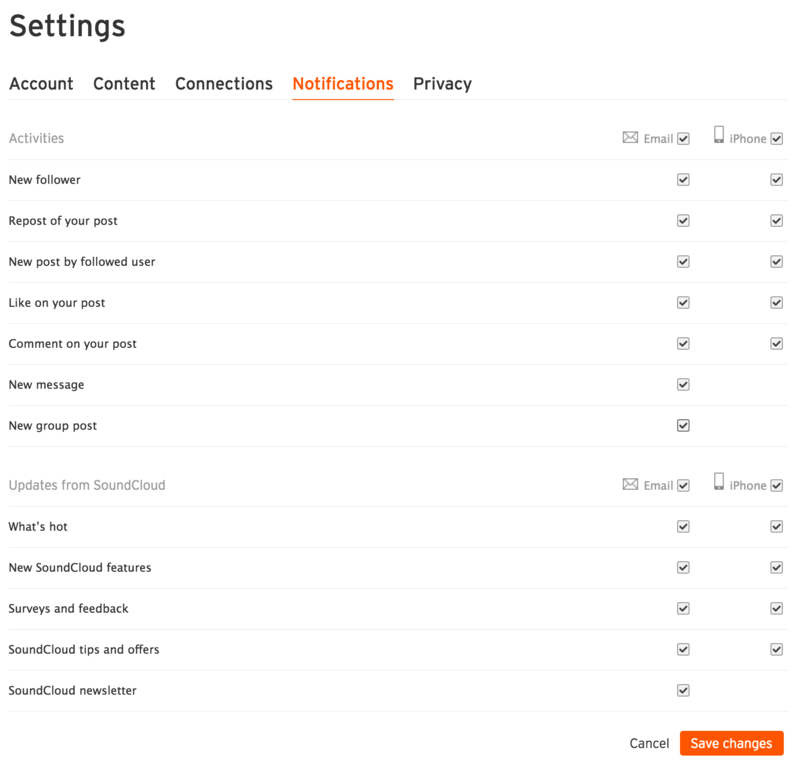 You can choose to receive email or iOS push notifications about activity on your account, or news about SoundCloud. SoundCloud limits activity notifications that you have chosen to receive to 1 every 24 hours. To see all activity made on your profile (such as new followers, likes, reposts, comments, etc. ), go to your Notifications page. Please note: If you have turned off push notifications from SoundCloud through your mobile device’s settings preferences, you will need to enable them again through your mobile device. From there, you can choose which mobile notifications you would like to receive through the Notifications Settings page (pictured above).